I begin every project by knolling out all the parts. And, being from a graphic design background, I typically try to make it functionally appealing. If you decided to watch, you would have noticed the beautiful knolling of the lawn mower. If they printed posters of that, I’d buy them. 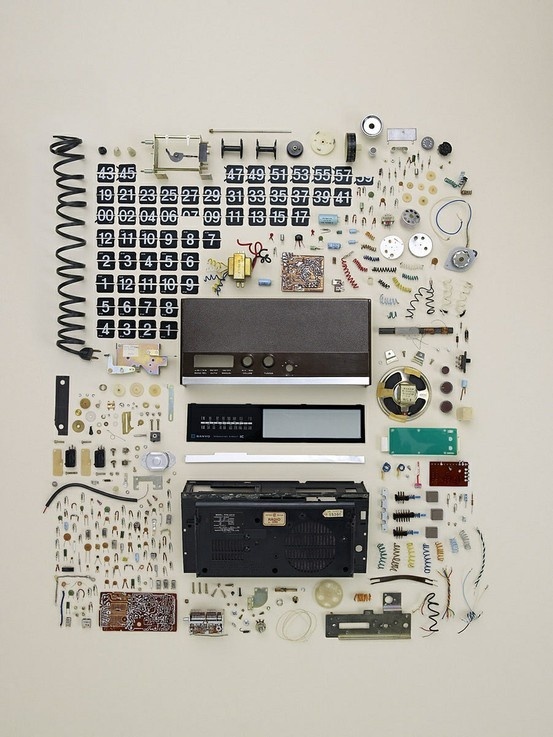 It shouldn’t go unnoticed how the knolling speeds up the process of putting something together. If you knoll out the pieces in a logical way, you don’t have to spend 15 minutes looking for that ‘small piece you are sure they left out of the kit’. Give it a try. It may seem unnecessary at first, but once you’re done building your perfectly knolled out lego kit, you’ll never to back to the old way again. Great idea! We are going to try this out with our newest hobby, Metal Earth Star Wars sets.